Dickens Yard, a former council owned car park, is now part of a 1,000,000 sq. ft., billion pound investment in Ealing, bringing commercial space, parking and almost 700 apartments in buildings with upper floors incorporating beautifully landscaped terraces and balconies. Set in the heart of London’s greenest borough within a thriving town centre, the apartments are positioned to capitalise on Ealing’s excellent transport links, including the new Crossrail service. 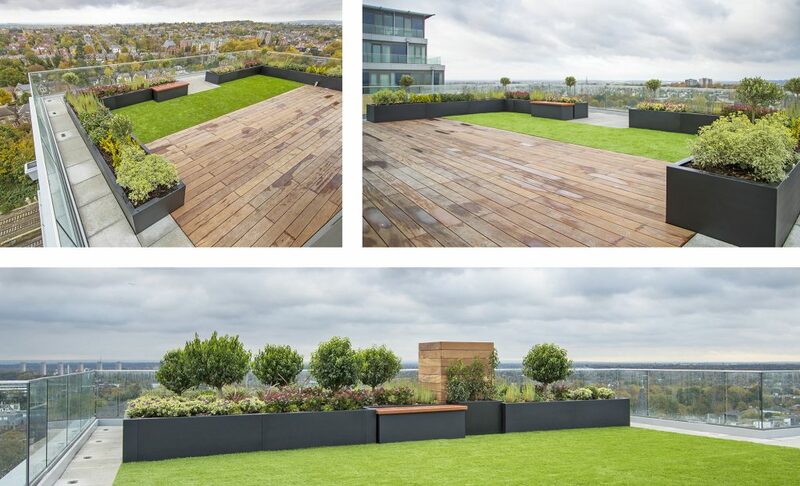 Europlanters have been involved with this project since 2016 and have manufactured and installed planters on all the building balconies and each of the penthouse roof gardens, which have open views across the city skyline. 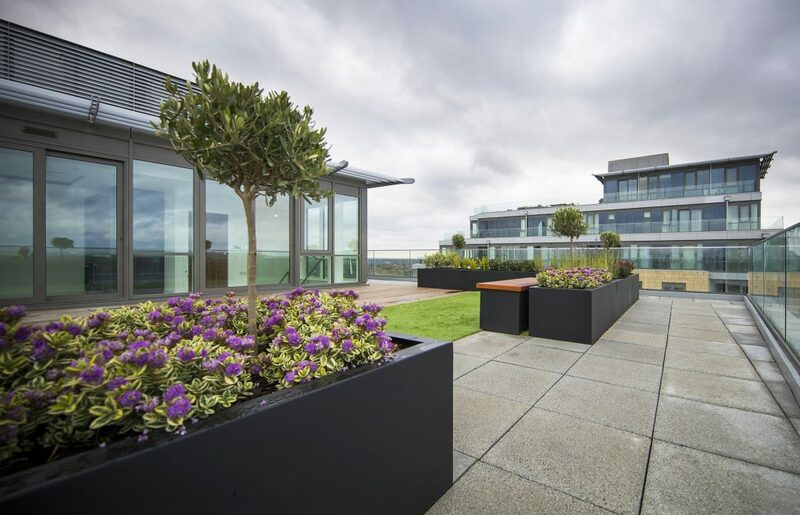 ‘We have enjoyed being part of Phase One of this project and are looking forward to seeing the second phase planted up too.’ Said John Wilkes Director of Europlanters. The design includes large planters to create raised planting beds and ‘hidden storage’ seats with Sapele timber lids on gas ram fittings to aid lifting. The project also involved designing and building bespoke planters around an automatic smoke ventilation unit. Built in sections for easy transport and lifting, this was then bolted together on site by the Europlanters team. 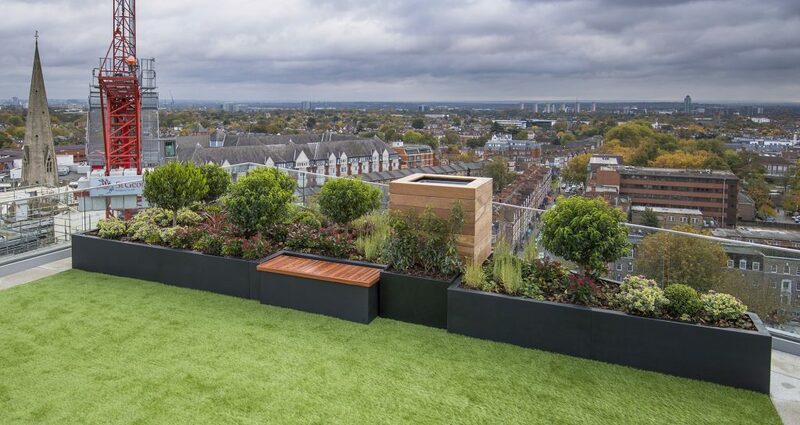 All planters were made in matt black to complement the metal work on the buildings and beautifully planted up by the Kingston Landscape group to create spacious gardens with views across the city.